Standard Tourism & Hotel Training Center, New Baneshwor, Kathmandu (STHTC®) offers highly regarded, accredited career training programs in Tourism and hotel management . We are serving the students since last 5 years with our skill oriented vocational training programs. Almost our graduates are working here in Nepal and different East Asian, European, American and Australian country. Our instructors are providing the classes as per the international tourism and hotel management college and university and hotel and restaurants menus. We are providing the country wise special vocational tarring courses for the students and worker and all levels people. We frequently organize street food festival with coordination of different hotel and restaurants. Class sizes average 10 students in the Hotel & Tourism Management programs and culinary management. Convenient schedules allow students to take morning, afternoon, evening, or weekend classes depending on their needs. Externships and job placement, frequently held in tourism sector and the finest restaurants of the world. Dreaming of adventure, and global opportunity to use your above average social skills? You are only seconds away from taking the first steps to pursuing your fantasy career! Training schools in the Travel, Tourism, and Hospitality sectors offer literally thousands of opportunities to match your potential with an industry currently undergoing phenomenal growth. Travel, Tourism and Hospitality employers' are searching for candidates who are trained from recognized training schools around the world. Disposable income is rising in our society, with increasing time and money spent on leisure activities. Picture yourself as a professional who has benefited from the training designed for the excitement and lifetime challenge of the Travel, Tourism and Hospitality industries. Career possibilities are truly unlimited, but some of the quickest growing market segments would include: Hotel and Restaurant Management, Catering, Fast Food, Travel Agencies and Airlines, Resorts, Spas, Cruise Ships, Casinos, Camps, Theme Parks, and Private Clubs. Standard Tourism & Hotel Training Center is the institute which produces authenticate & capable manpower to support their future career in nationally and internationally. Our clean vision is to add some dimensions in the field of tourism & Hotel training so that the trainees can feel secured in their future. The trainees can obtain the job easily anywhere in the world. We have the tendency to help them find the job anywhere they wish. Most of our instructors trained and experienced both a home and aboard, provide training with international standard making the trainees capable to work in aboard too. The teaching methodology is highly job oriented, competitive and proficient. Each class is designed to teach specific skills, which gradually become more complex as the program progresses. We begin by training students how to taste. They learn to appreciate the subtleties of a wide variety of foods-from herbs and condiments to vegetables and meats. As the course continues, students are immersed in techniques, such as knife skills, dry- and moist-heat cooking methods, sauce making, restaurant simulations, and pastry and baking, among others. If you believe you have what it takes to be a first class Travel and Tourism professional, consider attending one of the leading Training Schools. Brochures, catalogs and program information from any of the institutions is easily accessible. Convenient on-line requests and registration make it a snap to start your path to adventure immediately! As students grow more confident, they build upon skills they've mastered in earlier classes to create increasingly complex dishes and, later, menus. So, they're able to approach any cooking task with ease. We provide them blended knowledge with the help of stars' hotels technicians and highly experienced professionals of tourism sector. It consists of audio- visual presentations, group exercises, interactive discussion, visit tourism places & examinations etc. We make good environment to provide the tools & techniques of the subject matter for the participants. Periodic test will be conducted as concerned with the courses to enable the students' ability for the subject matter. The scheme of evaluation provides them insight knowledge which can be effective throughout their lives. After completing in-class training, students move off-site to participate in externship. They put their skills to the test, continuing the educational process in a restaurant, hotel, catering kitchen & other tourism sector. Hotel Management, F & B, Cookery, Waiter/waitress service, Front Desk, Bar, Housekeeping, Bakery, Tour Operation, Airline Ticketing and so on. We provide a short term courses plus a special package programs to the person who are intending to go abroad for foreign employment as per their requirements. We can make special package for individual training. A tailor-made package can also be designed to upgrade the skill of semiskilled manpower. In our Tourism and Hotel training Program, students learn the theory, practice, visit different places and art of cooking. 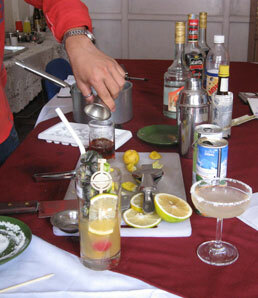 In STHTC's five-point model of skill development: theory, technique, palate training, speed and teamwork. This approach assures that students move quickly yet thoroughly through the program, while learning the elements that are essential for a successful future career. 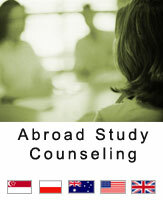 After going abroad for the study, the students have to work to fulfill their basic needs therein. In course of these cases, the students can earn soundly for their better livelihood & easily pursue their study. To fulfill their needs, we are profoundly providing the training to reach their goals. Analyzing the situation, about 10% people of Nepalese student can afford the fees during their study period and amongst them, 90% of their parents invest the initial fee. Majority of the students have to meet their ends on their own during their study period. We have also come to realize that in order to sustain, most of the students seek jobs in hotel management related fields. Hence, we are offering various short term program in order to help them to sustain themselves while pursuing their studies. This is also the reason why we are focusing on technical and practical skill development vocational training. In this 21st century, hotel industry has become one of the world's largest industries. So STHTC has a student marketing plan to attract those students who are pursuing their studies in foreign country from your esteemed educational institution for our vocational hotel training program.